One year ago I made the decision to Indie publish My Own Mr. Darcy. It was a scary choice to make, but the way the stars had aligned, we felt like it was the right choice. But man, there was a lot to learn and I'm still learning it. 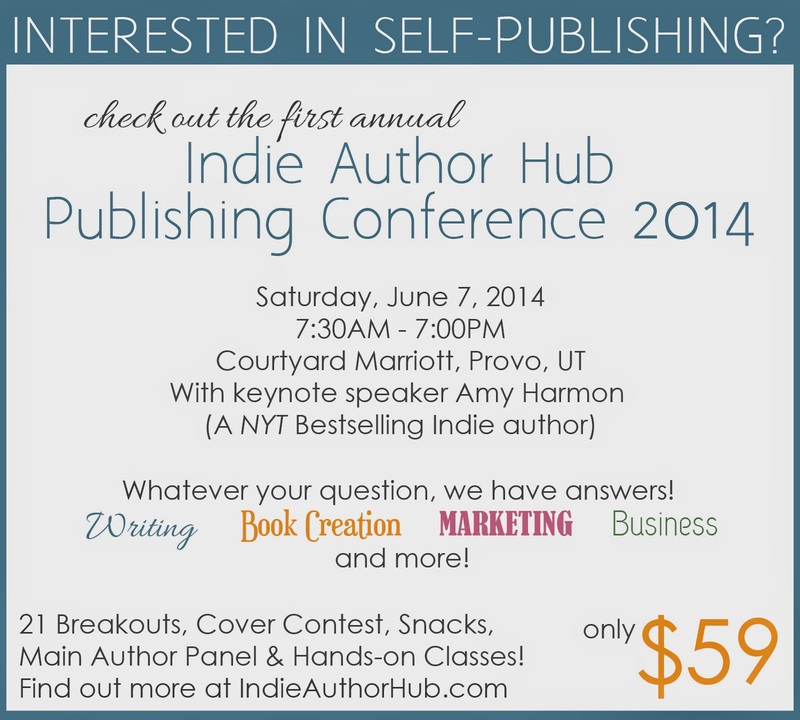 On June 7, there will be an all-day Indie Writing Conference at the Courtyard Marriott in Provo. If you've ever considered self-publishing a book, you should join us. At just $59 for the day, it's one of the best bargains you'll find. The classes and teachers that are lined up are top notch and there's even food provided. This is going to be such a fun conference! Loved this book and can't wait for the conference. I have to tell you that I ended up doing more housework on Saturday so I could finish listening to the audiobook. Loved your narrator.